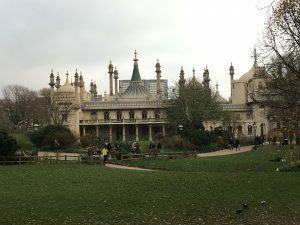 If it is your first visit to Brighton then a visit to the Royal Pavilion is well worth the effort. It is in the centre of Brighton and one of Brighton’s iconic landmarks. The Palace is also the only one owned outside the Royal Family. Built in the 1800s as a vacation retreat for the then Prince Regent and later George IV. Once it was built it put Brighton on the map as before that it was just another seaside fishing village. 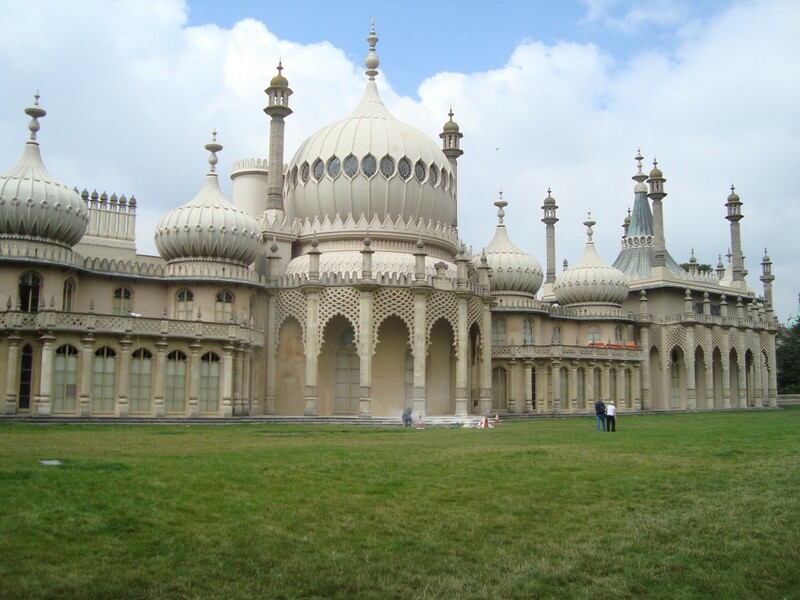 Prior to the Royal Pavilion the Prince Regent had a small residence in Brighton. He decided to build something a little bit grander and so John Nash, was commissioned by George IV, to build the Royal Brighton Pavilion. It was completed in 1823 with its domes, minarets and towers. The Pavilion is unique with its combination of Chinese, Turkish and Eastern influences. George IV was a man who liked the good things in life: food, entertaining, horse riding and collecting art/furniture from France, China and India, so throughout the Pavilion, in different rooms, are a treasure trove of different collections. Photography is banned inside the Pavilion. You can also hire for £2 an audio guide or download it for free on your mobile. 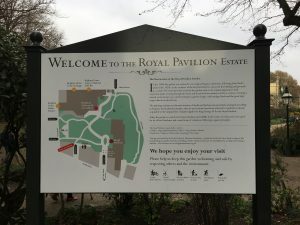 What to see at the Pavilion? One sad thing about visiting the Pavilion is your not allowed to take photos inside. In order for the shop to sell exorbitantly priced postcards, prints and the ubitiquous teatowels. I would allow an hour or so to visit the Pavilion depending on your interest in history. If you can go early in the morning as it can get busy especially around the holidays. i just listened to your podcast on travelblogbreakthrough.com. i am disappointed that you guys aren’t soldiering on. i hope everything’s ok, or that you just started a new site. The Brighton Royal Pavilion seems so magnificent! Thanks for the tips!